A strong documentary is a magnetic force, attracting the many factors surrounding an issue and packaging them into a consolidated summary, that will hopefully ignite the minds of the viewer enough to fester beyond the viewing. Crime documentaries are always hot, but never before has a doc so concisely portrayed the complex issues surrounding juvenile justice in this country. This film indoctrinates viewers with Juvenile Justice 101, giving just enough to stir about rage, fear, and very real heartbreak. Every broken detail, crack, and flaw in the system is delivered seamlessly through the three young men in prison facing life sentences in Benjamin Lear’s They Call Us Monsters. 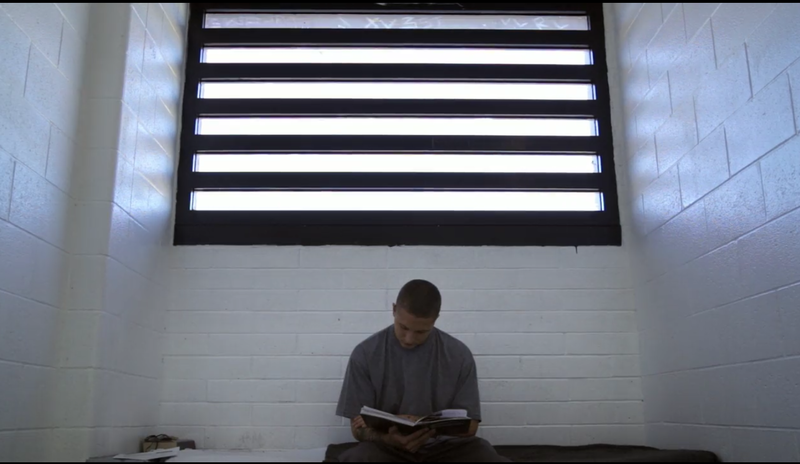 The three subjects of this film, Jarad, Juan, and Antonio are serving life in prison separated from the other juvenile inmates, their only hope being the passing of California’s Senate Bill 260 which would allow for juvenile parole after 15 years. The documentary does not hide from their crimes, just as the fight for juvenile justice reform does not promote turning a blind eye to crime. Video footage, photos, and victim statements are included with sheer honesty during the presentation of the crimes. However, with respect to the victims and survivors, a 16 year old’s sentence of 162 years to life for attempted murder is the fruit of a broken system. 162 years is likely an impossible amount of time to conceive, when one has lived so little. Bill 260 passed in California, allowing all juvenile offenders the opportunity for parole regardless of sentence or crime. However, California is largely the minority in this national debate, and across the country juveniles are receiving life sentences without parole. Antonio Casa’s story is integral to this doc and to the discussion of justice reform, though it is heartbreaking to watch. The criminal justice system is a candle burning on both ends. An inmate may spend years appealing against an unjustly severe sentence, only to find themselves in an even worse Hell upon release. Reentry, the process of reintegrating convicts back into society, has completely disintegrated and essentially disappeared. Upon release from prison, inmates are essentially dumped into the ever changing world with a blindfold on and no assistance. Juveniles released from prison are put at extremely high risk for recidivism, and who can be shocked. A lack of education, employment, housing, and social connections often lead juveniles directly back into the situations that brought them into legal trouble in the first place. Within a week of Antonio Casa’s freedom, he found himself homeless, unemployed, and using drugs. Antonio was soon back in the hands of police as a result of 2 robberies, and will now be tried in court as an adult. His story is far from uncommon and one of the largest detriments to the criminal justice system today. A lack of government support in the community outside of prison facilities will only fuel the cycle of crime in a hungry system. The doc’s foundation for all of this socio-political discussion is the progression of a movie. A movie within the movie, if you will. At the beginning of the documentary, we are introduced to our juvenile inmates, as they are introduced to their new screenwriting teacher Gabe Cowan. Through weekly classes, they develop a plot and script for a film that encapsulates their life experiences, not their criminal experiences. They include elements of personal fear, love, and loss of innocence. Later, this film was shot by Cowan and fragments are included throughout the film, creating not only an informational and powerful documentary, but one that is artistic and cinematic. The juxtaposition of the “monster” stereotype assigned to juvenile offenders, with the passion these “high risk” boys exude in the arts and their zest for life is so masterfully ironic. Shots of congressmen in suits calling juvenile offenders “little Charlie Mansons” are followed by scenes of passionate debate pertaining to a single line in the script, or the “fear of love.” When Cowan brings two actors to class, allowing the Juan and Jarad to direct them, the pure excitement and passion is palpable. Films like They Call Us Monsters combat the mindset of locking the door and throwing away the key, or labeling all convicts as killers, psychos, and sinners. Choices and missteps in life are not to be excused or ignored, but they do not define a person. A person is what they fear, what sparks light behind their eyes, and what they see for their future. A person is still a person when they sit in a prison cell.